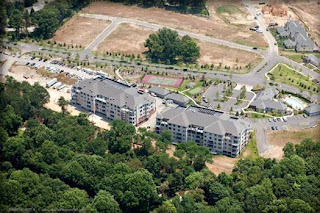 Athertyn at Haverford Reserve, the Main Line’s premier lifestyle community, has been named 2011 Smart Growth Community of the Year by the Home Builders Association of Chester and Delaware Counties (HBA). The Smart Growth award recognizes the efficient and innovative use of land that guided every aspect of Athertyn’s design and construction, from the recycling of concrete and metal from the site’s previous structures to the use of energy-efficient materials and appliances throughout the newly constructed residences. Athertyn residents have wholeheartedly embraced our commitment to sustainable development, taking advantage of convenient areas for recycling separation and storage found in each residential building. Set in the heart of the 209-acre Haverford Reserve, Athertyn offers convenient maintenance-free living in a beautiful parkside location less than two miles from the Haverford train station. Five miles of nature trails bridge the gap between natural and developed areas, connecting Athertyn with 120 acres of surrounding parkland and 45 adjacent acres of township environmental and recreational areas. Pohlig planned the placement of roads and buildings around existing trees and landscape features, and even the street lights and ornamental lighting fixtures throughout the community are specifically designed to reduce ambient light pollution. 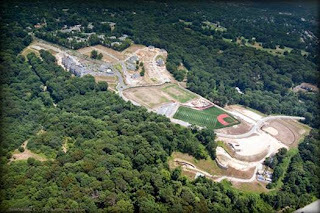 Green building practices are implemented in construction of Athertyn at Haverford Reserve preserving 120 acres of open space for parkland. Speaking as a Principal of the Pohlig organization, we are extremely proud of the work we’ve done at Athertyn. Preservation and environmental issues are very important to our residents, and Athertyn gives them the opportunity to enjoy spectacular natural surroundings and a maintenance-free lifestyle right here, close to everything they love about the Main Line. Arranged in six four-story buildings, Athertyn’s upscale condominium residences feature traditional Main Line architecture with steel and concrete construction, including natural brick, limestone, and stucco exteriors. A private residents’ clubhouse is central to the community, with a fitness center, executive style library and conference room, a club room with billiards, and a great room offering abundant options for socialization and recreation. 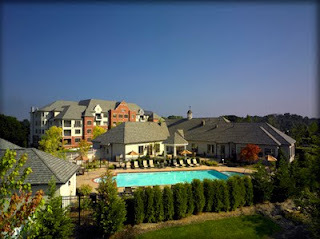 Outside, residents enjoy a tennis court, putting green, pool with spa, formal gardens, and community flower and vegetable gardens. Athertyn at Haverford Reserve is located on Parkview Drive, near the intersection of College Avenue and Darby Road in Haverford, PA. Two fully decorated model homes are on display at the Athertyn Sales & Design Center, open daily from 11 a.m. – 5 p.m. or by appointment at 5109 Parkview Drive. Directions can be found at www.athertyn.com. After 35 years of building the finest custom homes on the Main Line, Pohlig has become synonymous with personalization. Nationally recognized for their superior craftsmanship and attention to detail, the company was named “America’s Best Custom Home Builder” and has been the recipient of numerous other industry, civic, and business honors. With Athertyn at Haverford Reserve, itself the winner of several national and regional awards for livability and design, Don Pohlig and I bring the elegance of Main Line architecture and culture to condominium living.